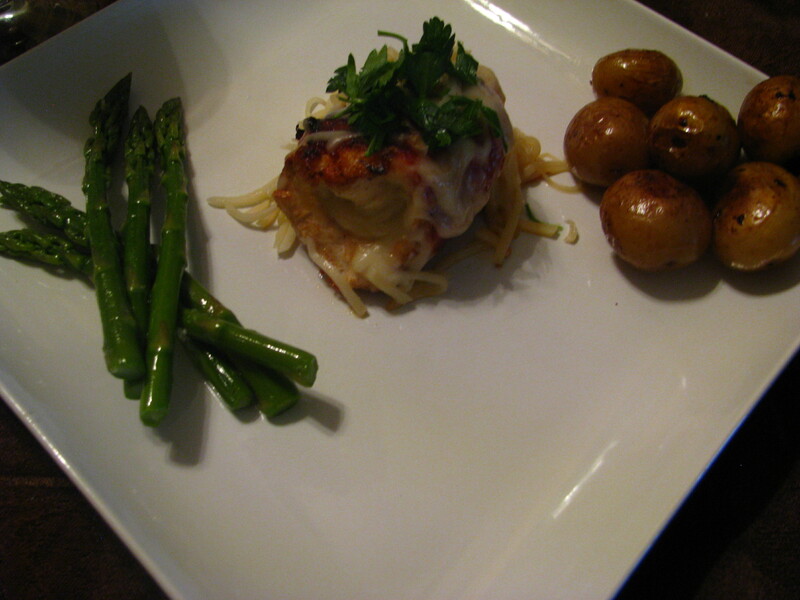 Chicken and Swiss Cheese wrapped with Turkey Bacon accompanied by a side of mini yellow idaho potatoes, which I used the pan drippings and added a little bit of butter for the browning and some garlic and olive oil asparagus. A simple yet delightful meal. Just remember any meal can be turned into a fancy restaurant dish. Asparagus in season is one of the most tender and flavorful vegetables. So happy it’s spring. I eat ALOT of asparagus 🙂 It’s my favorite.